Dolomite Bio, a leading provider of cutting-edge single-cell technologies, today announced the launch of a new scRNA-Seq Reagent Kit to expand the Nadia Instrument portfolio. This convenient and cost-effective option is being showcased at the Advances in Genome Biology and Technology 2019 General Meeting (AGBT 2019) – February 27th to March 2nd in Marco Island, Florida. 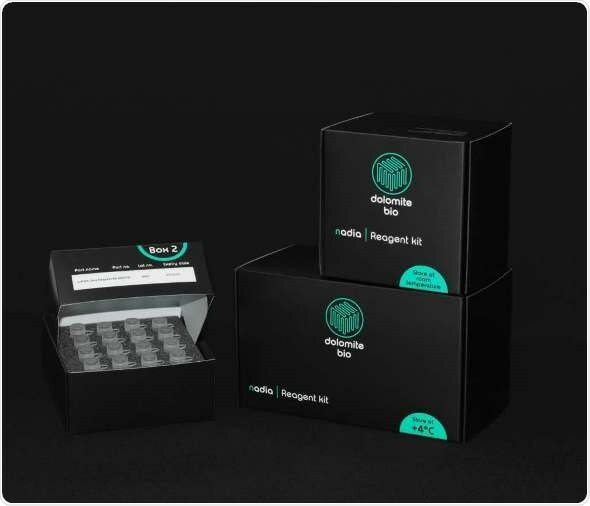 The launch of this new reagent kit demonstrates Dolomite Bio’s commitment to the continuous development of the Nadia product family, and provides customers with a high quality, straightforward single cell profiling solution while still offering them the flexibility to use their own reagents if desired. The new scRNA-Seq Reagent Kit is designed to enable robust and reliable generation of PCR ­amplified cDNA libraries on the Nadia Instrument, allowing high throughput gene expression profiling of heterogenous cell populations. The kit contains all the consumables required to create amplified cDNA libraries, allowing researchers to achieve highly reproducible single cell data sets – with ultra-efficient gene capture rates – at low sequencing costs. Unlike other solutions, this set­up also gives users the ability to adjust the number of single-cell cDNA libraries prior to sequencing, helping to ensure cost-efficient single cell analysis.